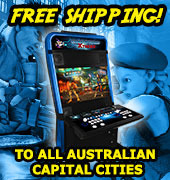 Our range of PCBs for sale in Australia are great for those wanting to upgrade their cabinets or those wanting to repair or recondition their arcade machines! We have a variety of PCBs for customers to select from and the arcade game boards in this category are ones that do not fit into other PCB categories (such as Game Boards). Products available include credit boards, coin interfaces, graphic boards, sound boards, game hard drives and more! 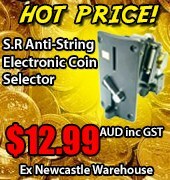 We can ship all over Australia, and if we don’t have the PCBs you’re looking for, we will do our best to find them for you. For instance, if you’re looking for a particular sound board, but cannot see it on our list, then please send us an inquiry and we will try to find it for you.